The cosmic art of driving in reverse gear while looking through the rear-view mirror. This may just be the retrograde of retrogrades because there is a lot of other stuff happening astrologically while Mercury retrogrades at this time, in that the outer planets are on the move. Because the outer planets remain in direct motion or retrograde for such long periods of time, the point where they change directions or change signs or make exact contact with other planets can be momentous. I’ve watched this for a very long time. Life does indeed accelerate for me in the run up to Mercury retrograde just when all the advice is to slow down (see also). It must be the contrarian nature of my having natal Mercury trine natal Uranus or something! Actually I like this take on Merc rx, in that sometimes no matter what you do, stuff happens. For me, it’s a bit like this: you try to go down a steep stair as slowly and as carefully as you can, but then you slip and are forced to go with the momentum until you stop. Somehow. Mercury retrograde is like that for me. Mercury stations retrograde in Libra on 7 September 2009, and I have been meaning to blog about the chart for weeks but have been in denial…. From the Ptolemiac aspects at least, it looks to be a challenging day, with only one trine amid a grand cross and a number of yods. The grand cross is out of sign but because one of the points is the Moon, which moves quite quickly, I’d say it’ll feel like a grand cross nonetheless. And if even if you preferred to dispute the configuration, the retrograde Mercury still forms the apex of a t-square between Mars and Pluto — talk about the potential for explosive conversation! I just wanted to point this out. I don’t think it needs extensive analysis. The USD700 billion bailout package announced at the height of the last Mercury retrograde in Libra is starting to unravel: secrets are emerging; promises reneged on; doubts cast. Wall Street Weather offers the astrological analysis here. It should also be noted that the writer had already sounded the Mercury retrograde warning way back when. 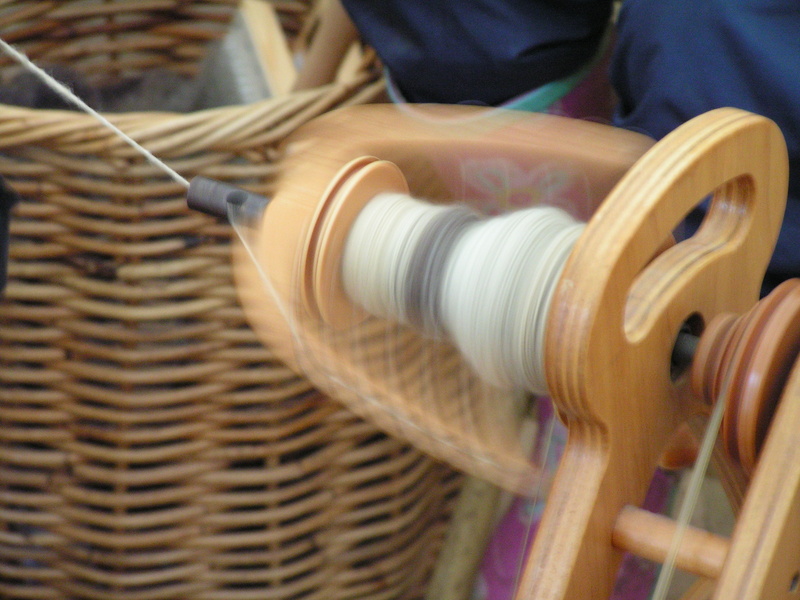 Image: Wool spinning. Source: Wikimedia Commons. An inferior conjunction occurs when the two planets lie in a line on the same side of the Sun. And Robert Wilkinson of Aquarius Papers offers an insightful explanation of what the two types of conjunctions are. Comments Off on The week that was! Oh my, what can one say about the see-sawing events during the first week of this Mercury retrograde in Libra (fairness, justice, balance)? The week is marked also by a new moon in Libra. … on the day of Mercury retrograde?! Definitely worth watching to see how it pans out. Here are my previous posts when the iPhone first launched. Also during Merc rx. You’d think these tech firms would learn to hire an astrologer by now. What is the myth of Mercury? What is the Mercury 'shadow phase'? What is the 'Mercury Storm'? Every effort will be made to utilise images in the public domain and to credit the source where required. If you own an image used in this blog and would like it removed, please let me know, and I will comply immediately. I do not own anything of sufficient value that makes legal action necessary, or worthwhile.